Show Dates May 3-4, 2014. Over 4000 Attendees are Expected at Expo. PRLog (Press Release) – Apr. 28, 2014 – SAN DIEGO — In a new twist to what promises to be a very active National BBQ Month in May, California Gold BBQ Rubs (CGBR) has been offered a last minute spot to join some of the nation’s most popular Gluten Free Food Brands in San Diego next month. The Gluten Free Food Allergy Fest will be held from May 3rd to 4th, 2014 at the Town and Country Resort and Convention Center, starting at 10am both Saturday and Sunday. The event is open to the public and will have Free Food Tastings, Live Recipe Demonstrations and Seminars from some of the country’s top Gluten Free Experts. Ironically, CGBR recently launched a company crowd-funding campaign on Indiegogo earlier this month, with the goal of attending their first Gluten Free Expo on June 7th in Pasadena, sponsored by the Celiac Disease Foundation. With over 4000 people expected in San Diego this weekend, it is unsure whether they will have enough product left to take to the June Expo in Pasadena. The new product called HEROIC! 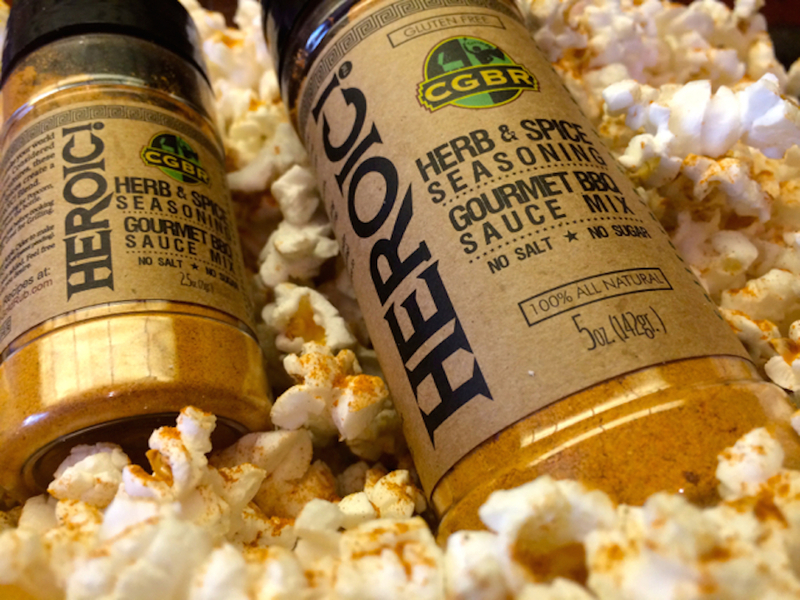 is an All Natural, Gluten Free Herb and Spice BBQ Rub, with Superfoods. International Patents are Pending for the unique Blend, which can also be used to make Homemade BBQ Sauce. The product contains No Added Salt, Sugar or Preservatives. It can be used as a Marinade or Instant BBQ Seasoning for Prepared Foods and Snacks. CGBR plans to demonstrate HEROIC! by adding it to other Gluten Free Snacks, with some Brands also being present at the event. BBQ Superfood Chef Mick Brown also plans to demonstrate Easy Stove Top Smoking techniques for preparing foods at home. No Grill needed. Look for event photos and updates on their Indiegogo page next week. The Town and Country Resort and Convention Center is located at 500 Hotel Circle North San Diego, CA 92108; (619) 291-7131. The Gluten Free Food Allergy Fest is sponsored by Living Without Magazine. Hours are 10:00 am to 6:00 pm Saturday (5/3/14) and 10:00 am to 4:00 pm on Sunday (5/4/14). Tickets range from $5.00 to $25 (for 2 Day Pass). Let’s face it, some of you are Pros at making the family Turkey for the Holidays, while others will be doing it for the first time. Still others would prefer to forget the last time they attempted to make a Turkey. Don’t despair- this easy recipe delivers a delicious bird that everyone will still be talking about as you ring in the New Year. Whether you decide to Smoke or Bake your Turkey this year, the Fresh Cranberry BBQ Sauce is also something to try. Smoking a raw Turkey is a low and slow process that can take 8-10 Hours (or more). You need to monitor and maintain the heat and smoke throughout. Thawed frozen Turkeys take longer to cook than fresh pre-ordered ones. Carefully check the final temperature after cooking it. The great advantage to this recipe is using a pre-cooked Turkey (usually frozen, thaw in the fridge for a week). Instead of the oven, why not heat your Turkey on the Grill? Wood Chips or Chunks add amazing fresh Smoked flavor that you can’t buy at any store. We use POWER Rub as the only seasoning. May sound simple, but POWER consists of 15 carefully measured Herbs and Spices, including Smoked Paprika, Garlic, Ginger, Cinnamon, Turmeric, Cumin and Thyme. It is easier to reach for one fresh pre-mixed product than work your way around the Spice Rack, one bottle at a time. And you know some of those dry herbs and spices in your cabinet are years’ old. Feel free to add any additional flavors you choose, like Sage or fresh Cracked Pepper. 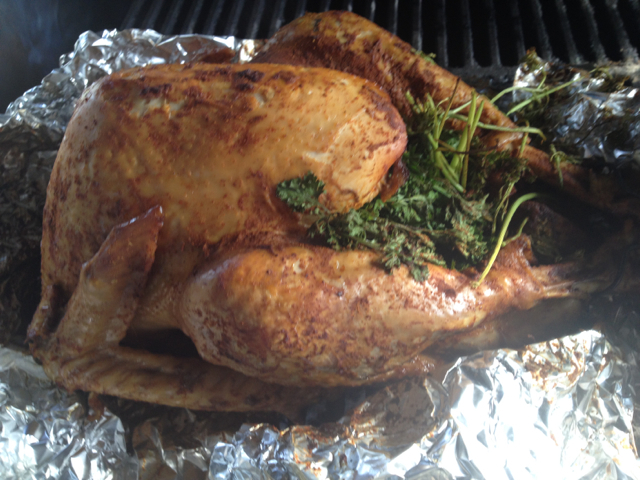 We solely stuffed the Turkey with Parsley for fresh herbal flavor. You can add Garlic, Fruit or even Stuffing because the Turkey is already cooked. Smoked Turkey with Cranberry BBQ Sauce plated with Sliced Oranges and Parsley. 1. The night before, rinse and dry thawed Turkey. Place on double ply foil. 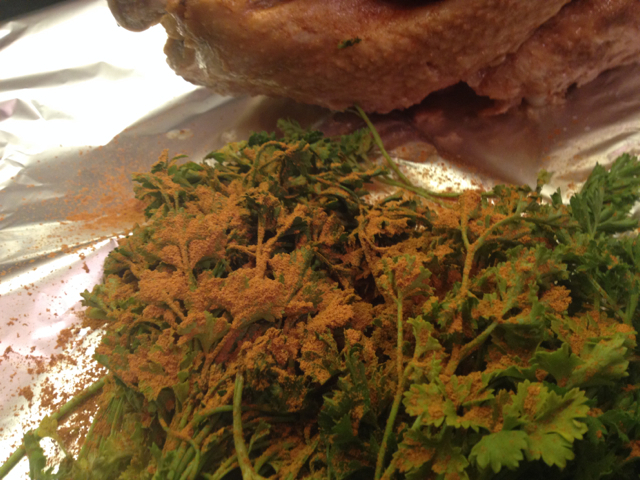 Sprinkle bunch of Parsley with POWER and rub inside of Turkey before stuffing. Generously season Turkey with Rub on all sides, being sure to get it under legs and wings. 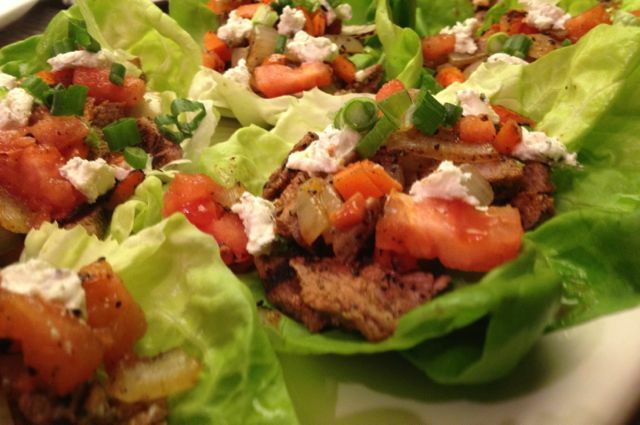 Wrap tightly with foil and refrigerate overnight. 2. Next day, take out Turkey to warm down while preparing Grill. Use indirect Grilling Method. On Gas/Electric Grill put dry Wood Chips in pan (or foil pouch) directly over high heat to get smoke. Wood and Charcoal Grills should use Wood Chips/Chunks that have soaked in water for at least 20 minutes. Turkey should be placed on opposite end of Grill. 3. Smoke Turkey on closed Grill for 3 to 3 1/2 Hours, replacing Wood Chips or Chunks as needed. Depending on heat, cook longer to make it more tender. We started cooking ours wrapped in foil for first hour, to start heating it through. Then, we opened foil for next hours before adding BBQ Sauce. 4. 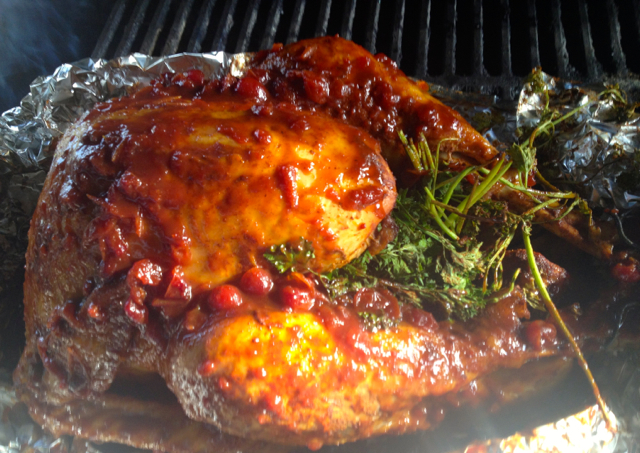 For last 30-40 minutes, baste Turkey with Cranberry BBQ Sauce. It will absorb smokey flavor. Finish with one final coat of BBQ Sauce before serving. 1. 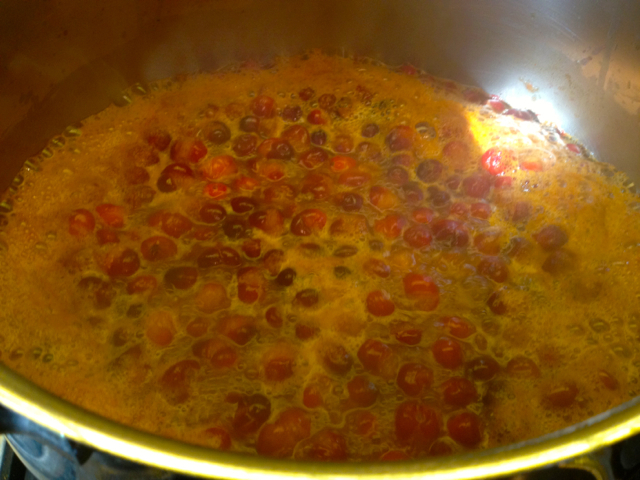 In large pot, heat 2 cups of Orange or Cranberry Juice (or mixture). 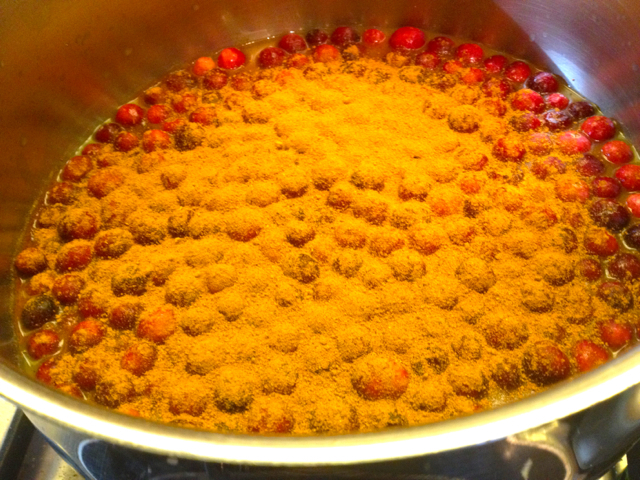 Add 1 bag of Fresh Cranberries, Brown Sugar, Vinegar and POWER Rub. Stir until dissolved. Warm covered on medium heat. Keep a close eye- if it boils, liquid will quickly rise to the top. Stir regularly. 2. 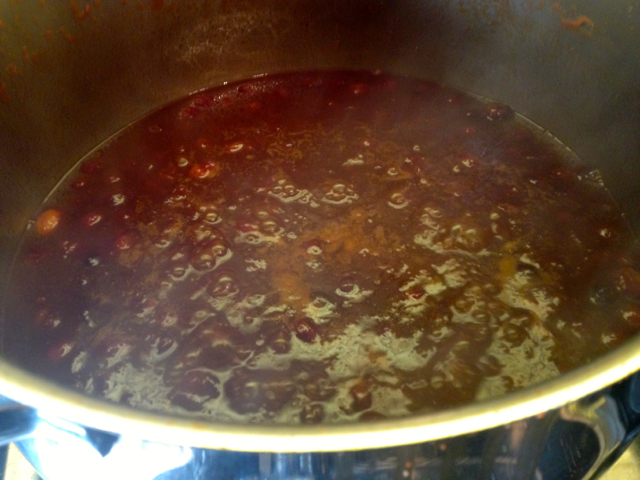 After about 10 minutes, Cranberries with start to break down and sauce will thicken. Add Molasses, then heat for another 5 minutes. At this point you can taste sauce for flavoring. Add more Brown Sugar, Molasses or POWER to taste. 3. Simmer on low for 20 more minutes, stirring regularly. Set aside until you are ready to baste Turkey on Grill. Serve unused sauce in side dish at dinner. 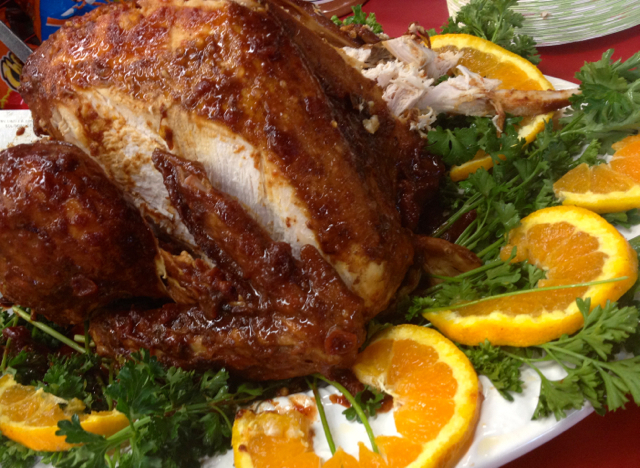 On the platter, we garnished our Turkey with Parsley and sliced Oranges, adding a squeeze of fresh juice on top. At local Demos, people couldn’t stop commenting on how great this tasted. Also, while Grill is working, you can also smoke some Cashews, Almonds or Pistachios for your guests (of course seasoned with POWER). 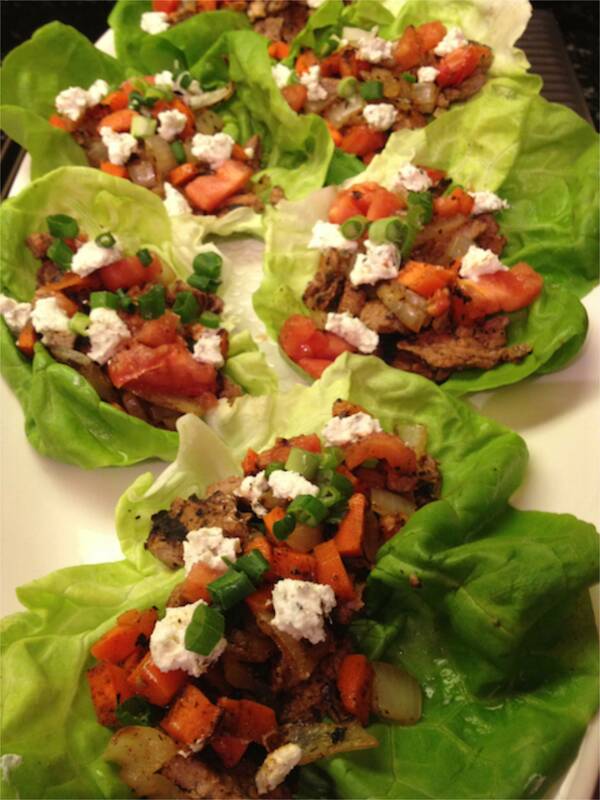 Aside from Thanksgiving, this recipe is great at Xmas (add Nutmeg and garnish with Mint). Enjoy and Happy Holidays. 1. Sprinkle inside of bird and stuff with Seasoned Parsley. 2. 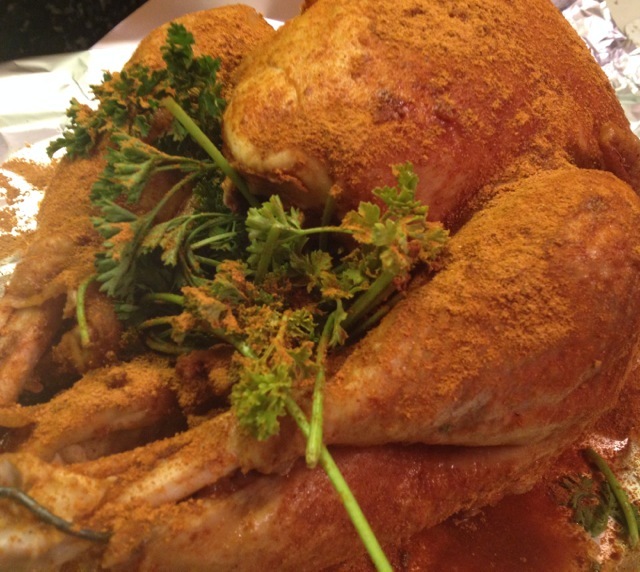 Generously season entire Turkey with POWER Rub. Wrap and refrigerate overnight. 3. Smoke Turkey on indirect heat for 3 to 3 1/3 Hours, until warmed through. Baste in BBQ Sauce for final 30-40 Minutes. 1. In large pot, heat 2 Cups Orange or Cranberry Juice with 1 bag fresh Cranberries. 2. Add Brown Sugar, Power and Apple Cider Vinegar. 3. 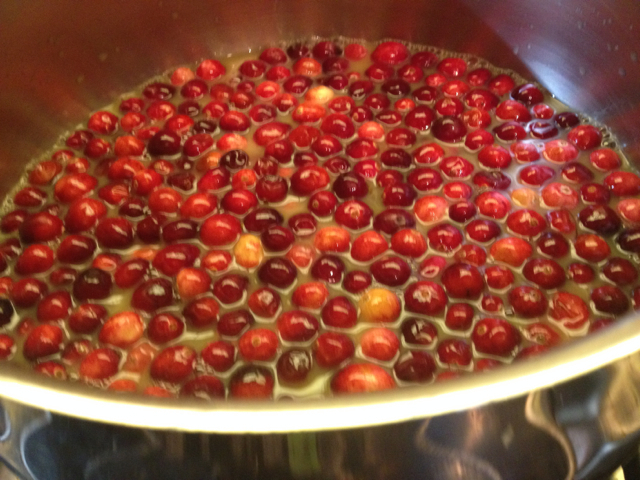 Cook until Cranberries start to break down and thicken Sauce. 4. Add desired amount of Molasses to finish.